Orgel Gallery Tonin CEO Hwang Youngok introduces orgel. Cheerful melodies from an orgel, also known as music box, fill the room when a spring is turned to play a disc, record or cylinder. Its soothing melodies serve as a therapy treatment for depression and sleep disorders. 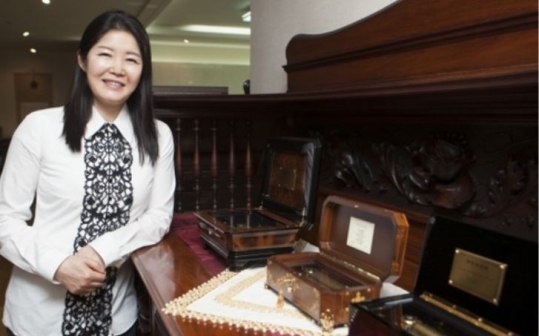 In 2010, Orgel Gallery Tonin CEO Hwang Youngok, an ethnic Korean residing in Japan, opened a music box gallery in Samseongdong, Seoul, simply because she wanted to help Koreans understand and appreciate how spectacular the music box is. Whereas music boxes are merely considered jewelry boxes or toys in Korea, people have a better understanding of the instruments displayed in dozens of museums in Japan. Hwang has a wide range of music boxes from an antique orgel more than a century old to a limited edition box. Before Edison invented phonographs, the music box was the only audio instrument. Though the industry declined in the 1960s, some companies rebounded through M&A deals between 1985 and 1993, one of which was led by REUGE. 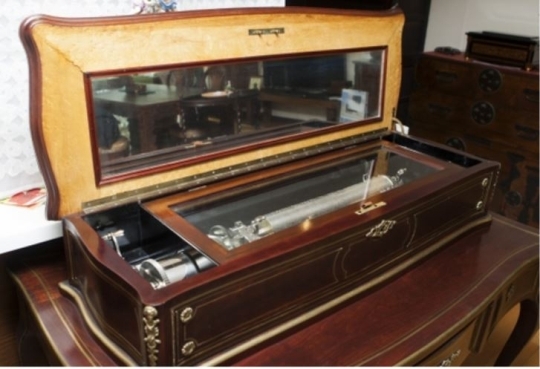 Founded in 1865, the music box manufacturer boasts a wide variety of world class cylinder music boxes with a price range between KRW 2 and 200 million. Its unique products make a great wedding gift for young couples. Hwang signed an exclusive contract with REUGE and the American Porter Music Box Company and her Gallery Tonin displays and sells their products. Among others, Hwang is particularly interested in music box therapy. According to the Japanese Music Box Therapy Association, a music box can relieve stress and treat sleep disorders, depression, and migraine. Also, its high-frequency (about 102,000Hz) and low-frequency (3.75Hz) melodies activate brain, providing good prenatal care. Indeed, Princess Nashimoto Masako is known to have played the music box during the prenatal months. At college, Hwang studied interior design. 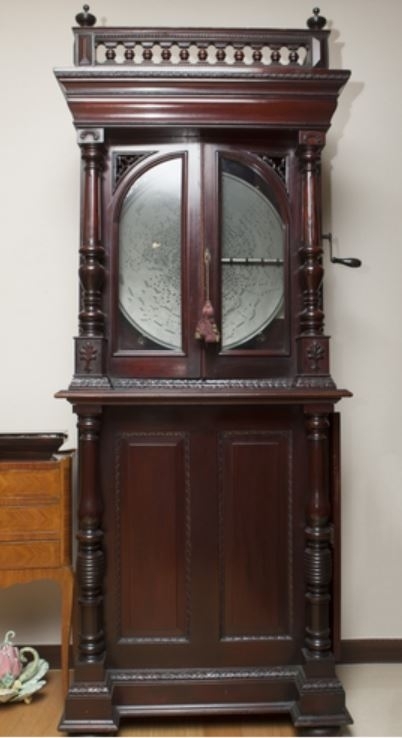 Years after, she got married to a Japanese man and opened an European antique gallery through which she first came across antique music boxes. Mesmerized by the music box that plays melodies at low and high frequencies, Hwang and her daughter earned a therapy certificate in 2010. Currently, her daughter, having graduated from Musashino Art University, works as a curator at Tonin. Over the last several months, she held orgel concerts and therapy programs at adoption agencies, facilities for single mothers, hospitals, and courts. At these events, participants could heal themselves through beautiful tunes and sound vibrations of the music box. She is planning to expand her business by opening a bigger gallery near Hannamdong, which will be complete by July and to help more people improve their physical, emotional, and spiritual health through orgel therapy. Antique Baker Troll Switzerland Cylinder Music Box created in 1895. There are six cylinders and each play eight tunes with 12,000 pins. Antique American Upright Disc Music Box ‘Olympia’ created in 1898. 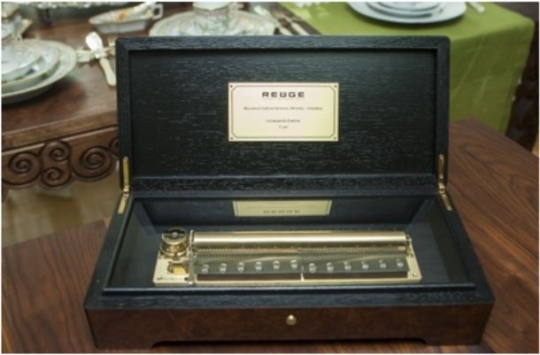 Switzerland Reuge Limited Edition Music Box. It is a therapeutic music box which plays Franz Liszt’s La Campanella arranged for different versions. 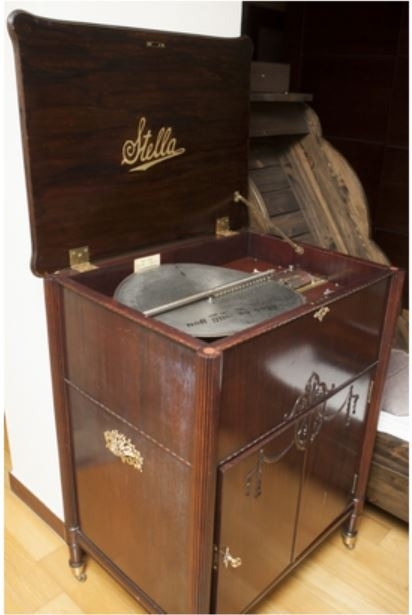 Antique Switzerland Disc Music Box ‘Stella’ created in 1905 uses the cylinder technology, making clearer sounds than other disc music boxes.